Pet Care Supplies has been one of the most favorite pet care stores among the pet owners of the United States of America. The reason that has led us to that point in such a short span of time is nothing but our love for pets, our dream of making pet care affordable and our constant try of providing 100% customer satisfaction. Our store sells the most trustable brands in the pet care industry at extremely discounted rates. That means you may be able to buy a product at much lesser rates that has a bigger tag of MRP at other sites. Along with these advantages we provide free shipping and numerous seasonal discounts which makes our usual prices go down some more. Cyber Monday Sale is one such discount offer announced by Pet Care Supplies right now! Before going into the details let’s know what Cyber Monday is and what this sale brings for you! In 2005, a research was conducted to study the eholiday mood by Shop.org/Bizrate. It was found in this study that 77% of online retailers said that their sales increased substantially on Monday following the Thanksgiving Day. Ellen Davis then termed this day as Cyber Monday and from that year onwards, it has become a trend to offer big discounts on Cyber Monday. 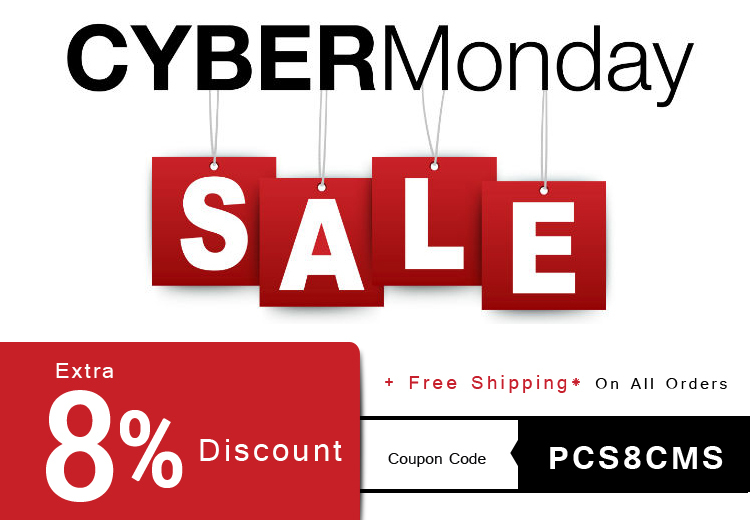 Cyber Monday sale deducts the already discounted prices by 8% and will let you save a bit more than usual. Free shipping to the remotest corner of the country ensures to add on your saving which would have to spend in case you chose any other store. You will be able to browse numerous categories of pet supplies for canines and felines. Caring your furry friends may become more trustable, secure and affordable with your purchase at PCS. Availing discount at PCS is very easy. Enter coupon code: PCS8CMS while checking out and save 8% of your total buy! To conclude, Cyber Monday is all about big brands at big discounts! Visit Pet Care Supplies and shop to your heart’s content and for your pet’s safety. Time to fill your carts guys! « Black Friday Sale @ Pet Care Supplies- Deals, Savings, And A Lot More To Explore!